Busted Stuff (2002), Live Trax Vol. 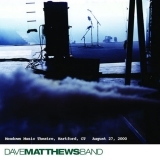 3: Hartford, CT August 27, 2000 (this album) (2005), Live In Atlantic City (2011), Live Trax Vol. 25: Maryland Heights, MO May 30, 2006 (2013).